Comic book movies have come a long way and they represent, nowadays, one of the most loved --and also criticized-- genres of literature. For a comic book movie to be successful there must be not only a good storyline, an audacious hero, and a well written development, but a good and intimidating villain too. Today, why not remember some of the most iconic CBM villains? The Joker is one of the most popular and iconic comic characters, but also a very complex and particular one and that’s why it is never easy to portray him on the big screen, and yet it is safe to say that Heath Ledger perfectly portrayed the Clown Prince Of Crime, who was pictured as a quite scary and dangerous agent of chaos, who, although quite mad, made very smart and astonishing plans in order to prove his theories (and to overall just do what he likes to do). He brought many physical, emotional, and moral challenges to the hero throughout the story, and is considered to be the strongest element in the movie, which both critics and comic readers loved. Willem Dafoe portrayed Norman Osborne perfectly. Besides the creepy Green Goblin face and the weapons he owns, what makes him truly scary is that he would've done anything in order to end his foe: he was merciless and most importantly determined to the point where, unlike some of the other villains, he even died in order to finish what he started. Portrayed by Ian McKellen, Magneto is considered to be one of best villains from the marvel comic book movies. His strength is the fact that he's possibly right: will humanity ever accept the X-Men? Probably not. And it is not even to blame on the humans, since we often get to see how their abilities and powers can damage humans and how many mutants shift between two poles: the good and the bad. Their morals can be shady, but that said, Magneto still remains a great villain for the way he consciously decided to handle the situation in the worst way: killing every human, showing why normal people will never fully trust them. He is one of the most loved comic book villains among fans, but why's that? Is that because of his “Supergod” abilities? Actually, some consider that characteristic an unnecessary overpowering. 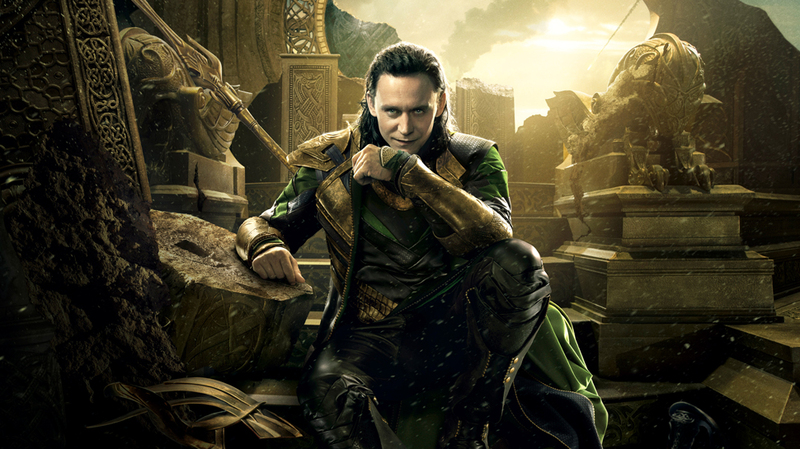 Loki’s desire of power and greatness was what made him interesting, and although he's obviously not the first villain to be motivated by a narcissistic ego, what made him even better was that he even turned against his own brother. Plus, his plan to conquer earth was good, and there's to point out how Tom Hiddleston’s portrayal of the character did not only give him an enjoyable sense of humour, but also some charm.